The Northampton Arts Council has set a May 1st, 2015 deadline for applications from organizations, schools and individuals for grants that support artistic activities in the local community. According to Arts Council Director Brian Foote, ArtsEZ 2015 Spring Grants can support a variety of artistic projects and activities in Northampton, Florence, and Leeds, including exhibits, writings, festivals, performances, workshops and lectures that take place July 1, 2015 through June 30, 2016. 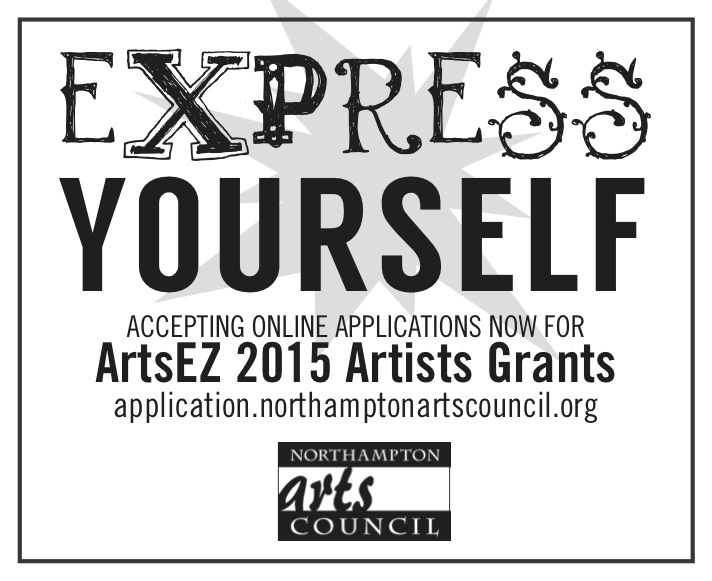 Applications must be completed online at http://application.northamptonartscouncil.org/. For potential applicants looking for advice on the application process The Northampton Arts Council will hold a question and answer session at the City Hall Hearing Room on the second floor of City Hall 210 Main Street Northampton, MA 01060 on Tuesday April 14th from 4:00 PM – 6:00 PM. Founded in 1980, the Northampton Arts Council has an all-volunteer board, appointed by the Mayor, and staff, consisting of one director, one part-time events producer, and one student intern. The Northampton Arts Council was the first cultural council in the Commonwealth to raise money for a second round of funding every spring. The ArtsEZ Spring Grant round is made possible by two major fundraising events produced by the Northampton Arts Council: Transperformance, an end-of-summer concert at Look Park held every third week in August, and the Four Sundays in February series which includes events such as the Silver Chord Bowl and the Really Big Gong Show. The Northampton Arts Council works to support and nurture the arts in the city of Northampton by funding, promoting and presenting high-quality, community-based arts programming for the benefit of artists, residents and visitors, initiating public art projects, and by seeking to improve public awareness of the arts. 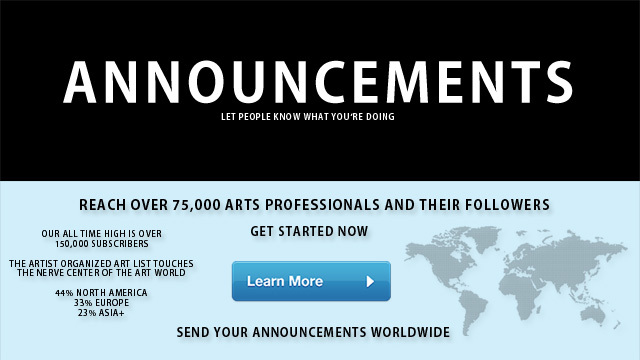 For specific ArtsEZ 2015 guidelines and complete information on the Northampton Arts Council please visit http://www.northamptonartscouncil.org/p/grants or contact Brian Foote at (413) 587-1269/arts@northamptonma.gov. Copyright © 2015 Northampton Arts Council Inc, All rights reserved. You are receiving this email because you wanted to know about the Northampton Arts Council and opted in on our website, bought a ticket online, or received correspondence from us electronically. Please join us for the opening of our next exhibition, Bea McMahon’s - BOM, this Saturday at 7pm. The opening will be accompanied by a performance of the work Dogs, at 8pm. Please see our website for more information. As part of the Our Neighbourhood project, we are excited to offer a special screening of Kornel Mundruczo’s acclaimed new feature, White God. This dark, dystopian parable contrasts the love of a girl and her dog with the violence of an (under)dog uprising on the streets of Budapest. Please note: This screening will take place in the performance space of Echo Echo Dance Theatre Company, Waterloo House, Magazine Street, Derry. The screening is free but booking is advised. Please email info@cca-derry-londonderry.org to book your place. CCA is pleased to announce that it has been selected to join Plus Tate, the contemporary visual arts network. Along with 15 other institutions from across the UK, including The MAC and The Golden Thread Gallery in Belfast, CCA joins the original cohort of eighteen partners, plus the four Tate galleries. In 2010, Plus Tate was launched to share collections and expertise and build a network which would use Tate’s resources to strengthen the contemporary visual arts ecology in the UK. For more information, please see our website. Crooked Rain, Crooked Rain will continues at Lismore Castle Arts until the 12th of April. 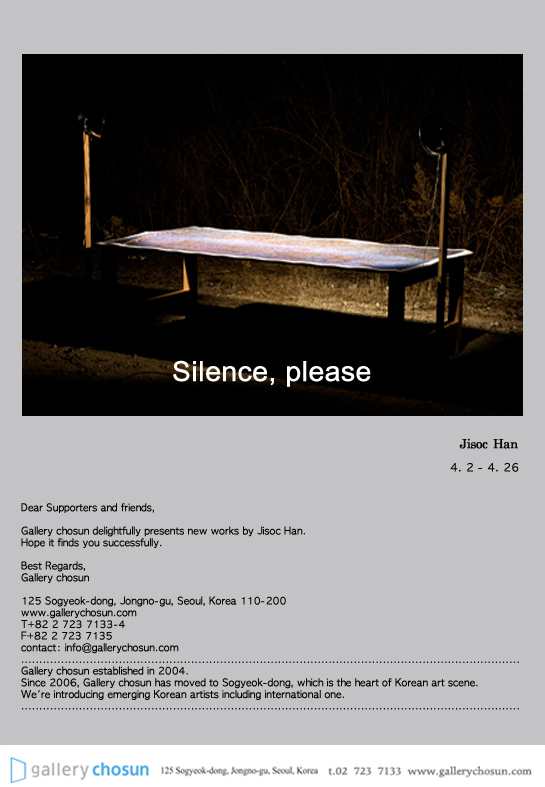 Horse continues at Void Gallery until the 18th of April. Die KW Institute for Contemporary Art freuen sich, die Kunstsammlerin Julia Stoschek, den Künstler Olafur Eliasson sowie den Juristen und Berater Martin Heller in ihrer neuen Position als Vorstand der KW vorzustellen. Julia Stoschek und Olafur Eliasson, bisher Mitglieder des KW Trägervereins, und Martin Heller, langjähriger juristischer Berater der Institution, setzen ihre bisherige Zusammenarbeit mit dem Haus auf Vorstandsebene fort. Sie treten die Nachfolge für den Architekten Eike Becker, den Unternehmer Eberhard Mayntz und die Unternehmerin Kate Merkle an, die ihre Tätigkeit als Vorstand der KW nach über 15 Jahren erfolgreichen Engagements auf eigenen Wunsch gemeinsam übergeben. Der bisherige Vorstand hat zusammen mit dem neu gewählten Vorstand und den Mitgliedern des Trägervereins eine Satzungsreform beschlossen und ausgearbeitet. Diese stellt die Weichen für eine Neuausrichtung der KW, die ihre Position als zentrale Institution für zeitgenössische Kunst in Berlin zukünftig weiter ausbauen wird. Ziel ist es, die internationale Strahlkraft zu erhöhen und gleichzeitig als starke und aktive Berliner Institution zu agieren. Die KW sind ein Ort, an dem Ungewöhnliches und Experimentelles ebenso zu Hause ist wie kontinuierliches Nachdenken und Austausch über und mit der zeitgenössischen Kunst. Die Besucherinnen und Besucher der KW sind eingeladen, sich in einer der bedeutendsten Kunstmetropolen der Welt von den aktuellsten künstlerischen Positionen und Diskursen anregen zu lassen. Auch weiterhin werden die KW Träger und Hauptveranstaltungsort der Berlin Biennale für zeitgenössische Kunst sein, die von der Kulturstiftung des Bundes als „kulturelle Spitzeneinrichtung“ gefördert wird. Die KW werden ihrer Rolle als Kraft-Werk nur durch die dauerhafte Absicherung der Institution durch öffentliche Mittel und eine kontinuierliche Steigerung des privaten Engagements erreichen können. Der neue Vorstand ist angetreten, diese Freiheit zu ermöglichen und neue kuratorische und künstlerische Visionen zu unterstützen. Das Programm der KW Institute for Contemporary Art wird durch die Unterstützung des Regierenden Bürgermeisters von Berlin – Senatskanzlei – Kulturelle Angelegenheiten ermöglicht. KW Institute for Contemporary Art is pleased to introduce the art collector Julia Stoschek, the artist Olafur Eliasson, and the lawyer and consultant Martin Heller onto the new board of KW Institute for Contemporary Art. Olafur Eliasson and Julia Stoschek, who are both members of KW’s board of trustees, and Martin Heller, long-serving legal advisor of the institution, are thus set to continue their existing and long-term work with KW on board level. They replace the architect Eike Becker, the businessman Eberhard Mayntz, and the businesswoman Kate Merkle, who together bring their service to the board to an end after 15 years at their own request. The new board, along with the outgoing board and the board of trustees, have decided and worked out a statutory reform. It sets the course for a reorientation of KW that strengthens its position as a central institution for contemporary art in Berlin in the future. It aims to extend its international influence and to act as a strong and active Berlin institution. KW is a venue, at which the unusual and the experimental are just as much at home as a continuous and sustained exchange with and on contemporary art. KW invites the public to enjoy the stimulus of the latest artistic positions and discourses in one of the most important art metropoles of the world. KW will only be able to maintain its role as a powerhouse of contemporary art through a constant coverage of the institution by public funding and a continuous increase in private sponsorship. The new board has set itself the goal of facilitating this freedom and to support new curatorial and artistic visions. It’s Poster time at the Festival de Cannes! If you can’t read this mail properly, click here. Si vous souhaitez lire cette newsletter en français, cliquez ici . You are receiving this email in response to your subscription to our mailing list.